Thank you. I wish the new owner well and thanks a ton to Tony for working through the process with me. Had it not been for him, I am 100% certain this sale would not have happened. You guys have a great Broker in him. 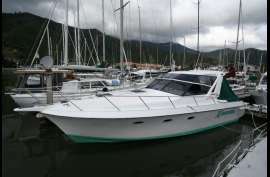 After searching the North Island, we bought our 12m Launch from Gavin at Vining Marine Ltd in Waikawa. Not only were we completely satisfied with our broker and the deal we made on our vessel, but we have become friends with the Vining Marine Team, as the after sales service and advice was second to none. With the help and support of the Vinings Team we were able to leave the boat in Waikawa long enough for us to cruise and appreciate the beauty of the Marlborough Sounds. We look forward to an ongoing relationship. 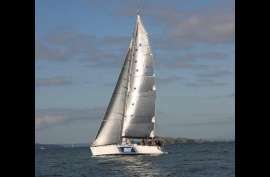 "Making everything seamless and hassle free that is an art"
After going through the selling process for our Beneteau Oceanis 40, I found that the service and guidance that was provided by Steve Raea in Auckland as brilliant!!. Any questions I asked, he had the answer plus a possible suggestion to go with it. It did not matter to him even if it was on his days off or when overseas. 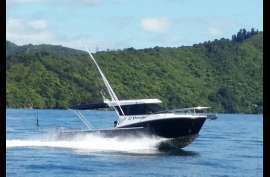 My wife and I would recommend anyone looking to sell or purchase a boat to use Vining Marine. Well done on achieving the sale and thanks for your help today. As an aside I found your communication superior to most of the other brokers I have worked with as both a seller and a buyer. 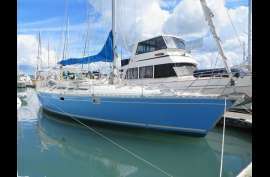 Must say during the sea trial I asked myself why am I selling however I am sure Mark and Family will get plenty of enjoyment from her. All went well with the handover, apart from the wet weather. Steve & Sue are really nice people, so good to know that Blu Wytch has gone to a good home. Thank you very much Brent for all your help and the professional way you handled everything in bringing the sale to a conclusion. Look forward to a catch up sometime on your side of the hill. Thanks for finalising everything its been a great excersise. I cant thank you enough and its amazing how we came to meet at the Mooloolaba Marina. There are a few boat brokers with their noses out of joint here at the moment. Colin and his son only took 7 hours to get to Brisbane with the northerly getting up to 30 knots. They are really happy with Fine Line. I will keep in touch. I was wanting to give you some feedback in our recent and ongoing contact with Vining’s. Firstly to give us the quality time, with no notice as you did last Friday was remarkable. Michelle and I had almost given up trying to find the right boat. We had a short list of which I think you showed us all of them. I had dismissed Hinewai 2 so to see it and put an offer on it was all down to you. I have dealt with Greg in Seaview and his manner was much the same as yours, professional. Rest assured that we will recommend your company to anyone who’s looking to buy or sell a boat in the future. Thank you for your communication. We are very excited to have it all done and dusted and looking forward to our holidays and time up there. We have been so privileged to have had Brent looking after us throughout. He has been so helpful and has made the process so much easier - especially when we are working from a distance. Brent and Vining Marine have certainly gone the extra mile, and we thank you all up there so much. We want to send you both our heartfelt thanks for the amazing support you gave us during our time in Waikawa and the Sounds. You both went way beyond just doing your job which you also do with great integrity. The extra care and time you extended to us will not be forgotten. Mark, from when you brought Phil, the purchaser of Aqua Vitae over to Tarakohe for the first visit and until the final day they sailed, I can say you are a pleasure to deal with . I like your calm approach to all things. Phil got a great boat and the way you put things was open and honest , which I like . No BS is certainly the best way to sell . It was your hard work that got the boat sold . I think you went above what most brokers I know would do and it was a pleasure to have you aboard to come from Tarakohe back to Nelson . So all up a big thank-you and you can be sure, if we buy again, we will be coming to you. I will also personally recommend you to some friends, one of my skipper may already have been in touch .